Here’s best compilation of 50 BEST Free software on categories like Photography,System Monitoring,Audio/Video Tools,Productivity,Media Server & PDF Tools. I hope this compilation would be useful,Let me know if I have missed any of your favorite. Effects 10 includes hundreds of stackable filters, presets, borders, and textures to help create your style. Plug-ins are available for Adobe Lightroom and Photoshop or work as a standalone application. Do you want to learn how you can regain your Social media privacy control,check out here & here! Edit, create EXIF, EXIF GPS, IPTC, and XMP. Add, edit, and remove keywords. Import/export EXIF and IPTC from/to XML files. Import/export EXIF and IPTC from/to MS Excel files. Import/export EXIF and IPTC from/to Text files in CSV format. Edit, create Photo Sphere metadata for panorama images. Paint.NET is image and photo editing software for PCs that run Windows. Usually only found on expensive or complicated professional software, layers form the basis for a rich image composition experience. Updates are free, and contain new features, performance improvements, and bug fixes. Paint.NET includes simple tools for drawing shapes, including an easy-to-use curve tool for drawing splines or Bezier curves. IrfanView is an image viewer, editor, organiser and converter program for Microsoft Windows. It can also play video and audio files, and has some image creation and painting capabilities. Fotor’s collage maker provides you with hundreds of photo collage templates under various styles for you to make photo collages online for free! With Funky Collage you can arrange your photos into a wide variety of wacky templates and wild shapes to make some truly unique collages. The photos can be moved, adjusted, and rotated to your own liking. You can choose from many colors or simply choose a photo as your background. In-depth Hardware Information – From a quick overview unfolding into the depth of all hardware components. Real-Time System Monitoring – Accurate monitoring of all system components for actual status and failure prediction. Customizable interface with variety of options. Extensive Reporting – Multiple types of reports, status logging and interfacing with other tools or add-ons. Novabench is a free benchmark that tests your computer’s performance. HDDScan is a portable hard drive testing program for Windows that can run various tests on all sorts of internal and external hard drives. The program is easy to use and all the optional features are easily accessible. Note: You may need to replace the hard drive if it fails any of your tests. WhoCrashed shows the drivers that have been crashing your computer with a single click. In most cases it can pinpoint the offending drivers that have been causing misery on your computer system in the past. EventSentry is a Windows versatile monitoring suite to monitor event logs, log files, system health of any Windows Server (2000-2012) or Windows Workstation (XP to Windows 8).There is Free Light edition available with limited features,for full comparison check out here. DriverStore Explorer makes it easier to deal with Windows driver store. Supported operations include enumeration, adding a driver package (stage), adding & installing, deletion and force deletion from the driver store. Portable tool to tweak, clean and optimize Windows. AIMP is a freeware audio player for Windows and Android. Recording – Audacity can record live audio through a microphone or mixer, or digitize recordings from other media. With some sound cards, and on any recent version of Windows, Audacity can also capture streaming audio. Import and Export – Import sound files, edit them, and combine them with other files or new recordings. Export your recordings in many different file formats, including multiple files at once. Unlimited sequential Undo (and Redo) in the session to go back () any number of steps. Runs on Windows, Mac OS X/macOS and GNU/Linux. Foobar2000 is a freeware audio player for Microsoft Windows, iOS and Android. Supported audio formats: MP3, MP4, AAC, Vorbis, Opus, FLAC, WavPack, WAV, AIFF, Musepack. Full ReplayGain support (playback and scanning). Supports playback and downloading music from UPnP media servers. MusicBee makes it easy to organize, find, and play music files on your Windows computer, portable devices and on the web. Powerful video editor,with the abilities to control video speed, merge and split videos, trim and cut movie files. You can personalize your video by adding background music, record voice, adjust brightness and color as you like. Simply drag and drop your media files to its timeline, then you can easily edit your clips and rearrange sequences of clips anytime you want. Numerous transitions, intro/credit and more special effects like face-off, picture-in-picture and mosaic, which will definitely make your videos more stunning. Provides various methods for you to save and share your videos with the world. You can directly upload them to YouTube with an optional message sending to Facebook and Twitter. Users are able to customize the output by altering the bit rate, maximum file size or bit rate and sample rate via “constant quality”. HandBrake also supports deinterlacing, decombing, scaling, detelecine, and cropping (both automatic and manual). HandBrake supports batch encoding through graphical user interface and command-line interface. Handbrake transcodes video and audio from nearly any format to a handful of modern ones, but it does not defeat or circumvent copy protection. WizTree is an excellent, small utility application which allows users to quickly find large files on a hard drive. Capture Screen, WebCam, Audio, Cursor, Mouse Clicks and Keystrokes. A popular utility designed to copy files faster and more reliably, providing the user with many features. Unnecessary files can be skipped to reduce the transfer time. During the process, TeraCopy shows detected errors, and allows you to fix the problem by recopying only the problematic files. TeraCopy can verify files after they have been copied to ensure that they are identical.This is done by comparing hashes of source and target files. TeraCopy can optionally show a confirmation dialog on every drag and drop operation. It can prevent you from moving folders accidentally from one location to another. TeraCopy can keep history of recently used directories, as well as show folders which are open in Explorer and other file managers. Snap2HTML takes a “snapshot” of folder structures on your hard drive and saves as HTML files. There is also a built in file search. Everything is contained in a single HTML file that you can easily store or distribute.Try out sample output here. This is best used together with cloud storage tools like SkyDrive, DropBox or Google Drive. Optionally the encryption can be done using GnuPG. Windows Firewall Control is a powerful tool which extends the functionality of Windows Firewall and provides new extra features which makes Windows Firewall better. Dictation can recognize and transcribe popular languages including English, Español, Français, Italiano, Português, हिन्दी, தமிழ், اُردُو, বাংলা, ગુજરાતી, ಕನ್ನಡ, and more. See full list of supported languages. Dictation uses Google Speech Recognition to transcribe your spoken words into text. It stores the converted text in your browser locally and no data is uploaded anywhere. PeaZip provides fast, high compression ratio multi-format archiving to 7Z, ARC, BZ2, GZ, PEA, TAR, WIM, and ZIP file archives (write supported), and works as opener / extractor tool for 180+ archive types. 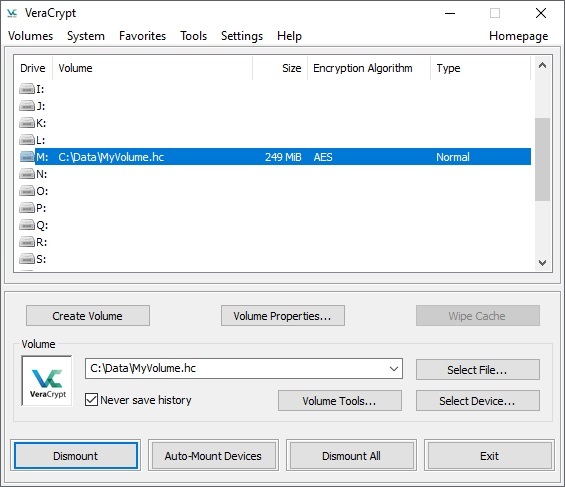 Deploys a powerful and complete file manager for viewing, browsing and searching archive files, featuring a wide set of data security functions: strong encryption (AES, Twofish, Serpent), encrypted password manager, optional two-factor authentication (encryption with password and keyfile), secure delete, and file hashing tools. Dexpot is an excellent, free virtualization app for Windows PCs. CloudBerry Remote Assistant is a Windows software for remote control and desktop sharing. With Wise Folder Hider, you can easily hide your files and folders. Protect your private or important data from unauthorized access and deletion. To increase security,you can specify second level password for specific file, folder or drive. You can also setup a login password. Inside the program, you can set a second level password for each file, folder, USB drive. Anyone else can’t uninstall the program without login password. Sys Minion is a free portable program for Microsoft Windows devices that provides you with access to complex system commands that you can run from its interface. Disk Cleanup Utility — Runs Disk Cleanup with elevated privileges so that you can remove old Windows leftovers from the PC. Remove SP uninstall data — This removes Service Pack uninstall data from the Windows machine. Only works on pre-Windows 8 versions of Windows as Windows 8 and 10 don’t support Service Packs. Analyze Component Store — Evaluates if the component store needs to be cleaned.Works only on Windows 8.1 or newer. Cleanup Component Store — Runs the cleanup command on the component store to free up space. Works only on Windows 8.1 or newer. Cleanup and Reset Base of Component Store — Same as above, but will reset base as well. Works only on Windows 8.1 or newer. Health Check — Reports if the system is marked as corrupted, and if it can be fixed. Health Scan — Scans the system for component store corruption. OEM Drivers repository — Option to remove device drivers from the system OEM drivers repository. Enable or disable signature verification to install/prevent the installation of unsigned drivers. Enable or disable the Boot Menu. Open the User Accounts management interface. BleachBit is a fast and safe system cleaner. By simply checking boxes, you can delete unnecessary files such as cache, logs, cookies, recently-used-files lists, and more. Avira Software Updater patches the vulnerabilities as soon as updates become available. Offers you up-to-date software with latest new features. Tracks your activity stream, highlighting when you last plugged a vulnerability that might have exposed your private data. Runs totally independently of the MS Windows Task Scheduler and has no dependencies on it. System Scheduler not only allows you to launch programs at scheduled times but also to send keypresses and mouseclicks to those programs. This allows you to not only schedule programs to run overnight or at the weekend but also get those programs to do useful things while unattended. System Scheduler will check for the existence of a particular window and send keypresses or send the window a close signal to terminate running applications. Duplicate File Finder will help you locate and remove useless file duplicates to free up disk space and better organize your file collections. calibre is a powerful and easy to use e-book manager. It’ll allow you to do nearly everything and it takes things a step beyond normal e-book software. It’s also completely free and open source and great for both casual users and computer experts. Here’s introductory video that will show you how to set up calibre and what its main features are. Take complete control of your desktop from your browser. Remote Desktop solution that is simple to setup and use. Simply connect to the client in your browser and log in like you normally would. Manage programs and run scripts from the comfort of your browser. Kill an unresponsive process or start a new one from your laptop, tablet, phone — anywhere! PDF Candy provides free online tools for working with PDF files (converting, splitting, merging, rotating, etc ). There is both Online & Desktop versions available. PDF Candy Desktop is a versatile tool that enables you to convert files from PDF to various supported formats (PDF to DOC, PDF to JPG, etc), convert documents, ebooks and images to PDF, merge PDF, split PDF, extract images and text from PDF, edit PDF metadata, protect PDF and unlock password-protected PDF files. Sumatra PDF is a free PDF, eBook (ePub, Mobi), XPS, DjVu, CHM, Comic Book (CBZ and CBR) reader for Windows.Sumatra PDF is powerful, small, portable and starts up very fast. A speedy PDF reader alternative to Adobe Reader. ConnectedPDF Security – grant and revoke document access. ConnectedPDF Document Management – Track to see who opens your document and what they do and notify readers of new updates. ConnectedPDF Collaboration – Elevate your teamwork with connected reviews or send requests to others to get a file. Plex allows you to aggregate all your personal media and access it anywhere you go. Plex organizes your media, makes your collections look great, and makes it easier than ever to find what you’re looking for. Mobile Sync lets you sync movies, music, and photos to your mobile device for offline enjoyment wherever your life may take you. Support for all file types , including hi-fi music and video formats. Plex News has partnered with the most reputable and trustworthy news sources around the world. Stay informed on all your devices, anywhere, anytime. Store and stream as much as you have on your server or storage device, without sacrificing quality, security, or performance. Kodi is a free and open-source media player software application.Kodi is available for multiple operating-systems and hardware platforms, featuring a 10-foot user interface for use with televisions and remote controls. It allows users to play and view most videos, music, podcasts, and other digital media files from local and network storage media and the internet. Support for almost every format, playlists, party mixes and more. Kodi brings your movie collection to life with artwork, cast genres and more. Kodi keeps all your tv organised like nothing else. Intuitive audio mixer with per-source filters such as noise gate, noise suppression, and gain. Here's best compilation of 50 BEST Free software on categories like Photography,System Monitoring,Audio/Video Tools,Productivity,Media Server & PDF Tools.